Communications / Media - Multiple major media resources are located in the Roanoke region, ensuring that its citizens are well informed. 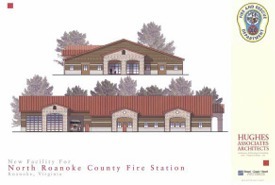 County Fire, Rescue, and Police - The Roanoke County Fire and Rescue Department provides Fire and Rescue Services to over 90,000 citizens within 254 square miles. The Roanoke County Police Department has maintained national accreditation since November 1997. Meetings, Conferences, and Conventions - Collectively, the Roanoke Valley has over 200,000 square feet of flexible meeting space and can handle groups of up to 10,000 attendees. Parks and Recreation - The Roanoke County Parks and Recreation department is likewise involved, offering programs year-round to citizens of all ages. Visitor / Tourism Services - The Roanoke Valley Convention & Visitors Bureau provides travel and tourism resources in Virginia's Blue Ridge. For questions or more information about any community resources, please contact the Department of Economic Development at (540) 772-2069.